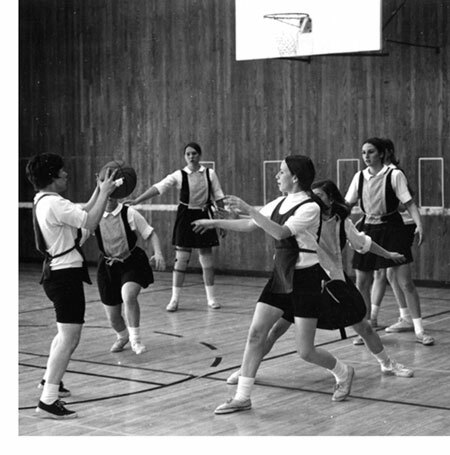 Who are these players, where, and when? Did you play similar games in your time? In fact, the groundbreaking was for the Convertible Classroom Building (designed to be adaptable as classroom, office, or dormitory space), which later became Harder Hall. That same day something of a circus was on campus for Spring Fling, and, as Lynn Doe Shipway ’70 recalls (she was secretary of the college at the time), “We thought it would be huge fun if the elephant joined us at the groundbreaking. 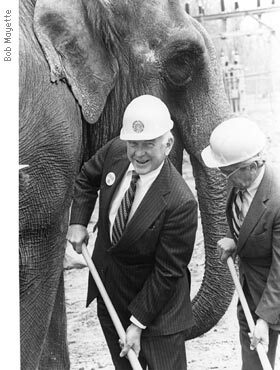 It did, after a long, circuitous journey: elephants don’t fit under the covered walkways on campus.” And once arrived, she adds, “where does an elephant stand at a groundbreaking? Anywhere it wishes!